Are you in a desperate need of a stimulating SEO advice? Luckily, we know a guy, who can provide you with an SEO tip as fresh and inspiring as a cup of freshly-brewed coffee. 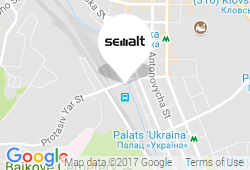 Meet Sam, the friendly barista of Semalt – he loves chatting, coffee and helping you in getting to know Internet marketing better. Sam has recently moved in, but he has a lot to tell and share with you. So feel free to visit his coffee shop and speak to him! Semalt launches a new site, where we will publish stories of our clients’ success. Each article will be written in a style of a case study starting from the initial state of the project, going step-by-step through all performed SEO actions and ending with a brilliant result.